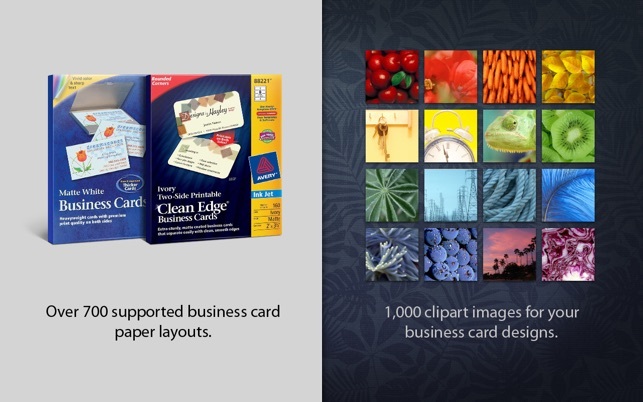 Business Card Composer is an award-winning design application for creating and printing business cards, name badges, and more. 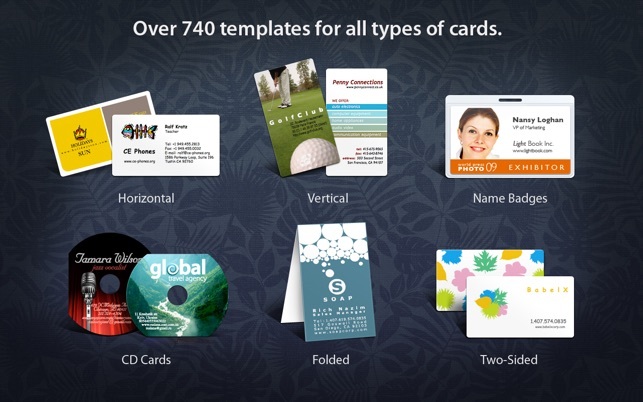 Business Card Composer comes packed with 750 professionally designed templates for horizontal, vertical, folded, double-sided, and CD-R business cards. 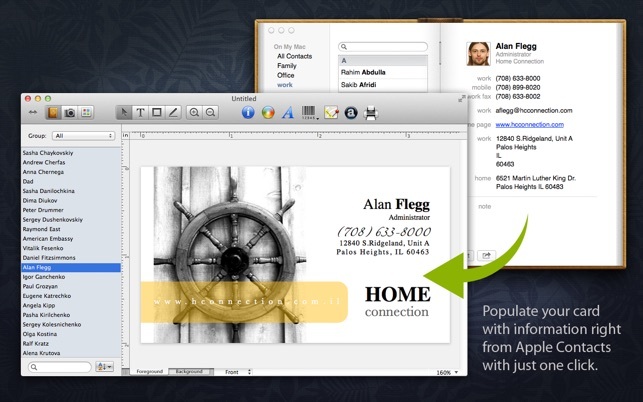 Contact information can be pulled right from Address Book and placed on your business card in just one click. Associate the card with the face. Import your favorite portrait from Address Book, iPhoto, or Aperture and dress it up using Business Card Composer's editing tools. 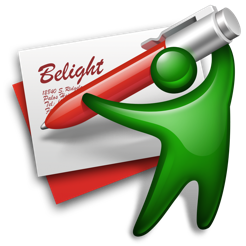 You have complete control over every aspect of your business card with the wide design toolkit that ranges from shadows and masks to the program's powerful image editor that utilizes Core Image filters. Inside is a collection of hundreds of supported papers from Avery, APLI, Decadry, and many other popular manufacturers. So you're sure to find the one you need! • The Google Maps integration is now working properly. • Fixed a problem that could cause a crash on El Capitan when resizing the application's window and in some other cases. Highly recommend! Great business card app! Wow! 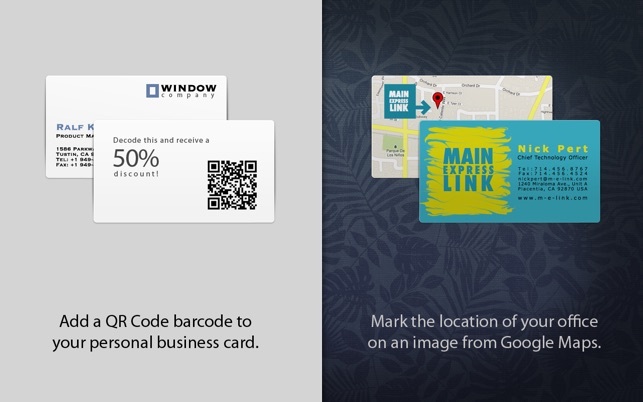 Great business card app! It actually works 100% perfectly, and all of the gorgeous business cards for my entire business have been created using this app!! I exported my business cards out of this app as a high-quality PDF file, and then I uploaded them to VistaPrint to print. They all printed 100% perfectly!! Probably the best thing about this app is that it has several alignment, distribution, and grouping functions throughout the program — so you can professionally arrange all the elements on your business card! It also has a ruler and movable guides built in as well, so you can really arrange things perfectly. I am very thankful that someone decided to create this app and that they regularly update this app, because it has really been a fantastic tool for my business. 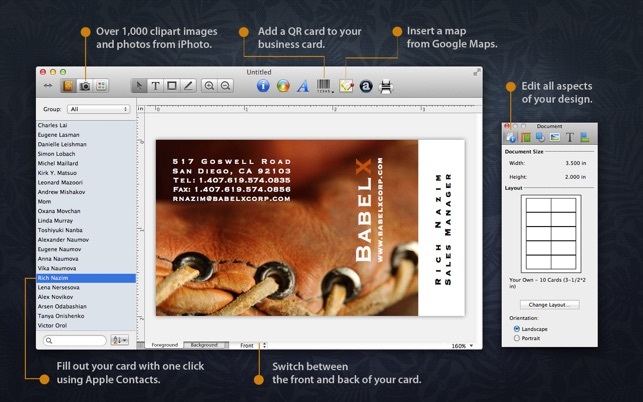 This is really a fantastic app which I highly recommend to every single Mac user who needs to make business cards for their business!!! We really hope the developer keeps supporting this app, since it hasn't been updated in 2 years!! The BCC application is easy to pick up, quick to learn, and very versital. One can created a business card in short order that looks quite nice. The extra features, like linking to the Apple contacts make inputing information easier, and being able to create scanable bar codes and put them on a card makes for enhancubg the information transfer. Printing options are numerous and abundant. Overall, and nice application….